We received a very warm welcome by the staff, and the taxi service to the hotel in the busy center was a blessing. The rooms and hotel generally are beautiful. And we loved the location near restaurants, sites and the sea. Pool was green! Quadruple room was actually a single room with four beds. Moved out within two hours and found a better hotel. I want a refund..
Where can I find hotels in Gangi that are near tourist attractions? Visitors to Gangi are advised to think about securing a place to rest their head well in advance of their trip, as they won't find an extensive range of lodging options in the vicinity of Gangi's center. 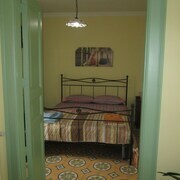 The B&B Le Ginestre, Sicily, which is the closest hotel, lies 35 kilometres (22 miles) from downtown Gangi. Also, investigate the Relais Santa Anastasia, located in Sicily, which is 25 kilometres (17 miles) away. 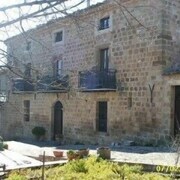 You could also check out the Casa Migliaca and the Agriturismo Cefalù - Guest House. 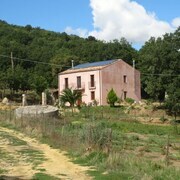 The Casa Migliaca is positioned 25 kilometres (15 miles) away from the center of Gangi. 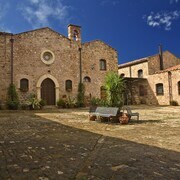 The Agriturismo Cefalù - Guest House, is situated 30 kilometres (19 miles) away. Another possibility is to investigate the Dimora dei Frati or the Federico II Palace Hotel. Palermo Historical Center is 85 kilometres (53 miles) to the northwest of Gangi and is where you'll find Church of San Francesco Saverio and Sicilian Region Central Library. Some of our recommended Palermo Historical Center hotels and accommodations include the Grand Hotel Villa Igiea Palermo MGallery by Sofitel and BB 22 Charming Rooms & Apartments. Or stay in Palermo Coast, 90 kilometres (56 miles) to the northwest of Gangi, where you can choose from the Palazzo Ducale Suites and Rocca di Monreale. The Portobello - Le Gallerie del Risparmio and Mondello Minigolf are a couple of the more popular points of interest to explore when visiting Palermo Coast. Before you head home from Palermo, ensure you experience some sport. Visit Angelo Massimino Stadium to the east of Gangi. Those sports fans wanting to find a room or apartment near to the action can make a choice from the Romano Palace Luxury Hotel or the Liberty Hotel. Now that you've checked out the hotel options in Gangi, make sure you visit our Gangi travel guide for information on ways to spend your time in this area. What are the most popular Gangi hotels? 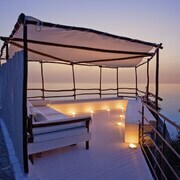 Are there hotels in other cities near Gangi? 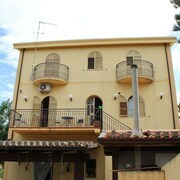 What other types of accommodations are available in Gangi? Explore Gangi with Expedia.ca’s Travel Guides to find the best flights, cars, holiday packages and more!